As a massage professional, there are a number of self-care tools you can use to stay healthy and balanced. Have you ever tried CBD cream to relieve muscle and joint pains from inflammation? 44% Yes, and I love it. 44% No, but I'm interested. 12% Nope, not for me. As a massage therapist, it's a good idea to eat small, healthy meals between clients that will give you quick, healthy, and sustainable energy. What is your go-to snack? If your state, province or organization did not require massage continuing education, would you still take it? 30% third or more career. There is research that suggests tuning fork therapy may actually help relieve muscle and bone pain. The ohm frequency tuning fork is ideal for promoting relaxation. Have you ever used a tuning fork with a massage client? 65% No, I haven't, but I would love to learn how to use a tuning fork! 18% No, I'm not interested in working with tuning forks. 15% Yes, I often incorporate a tuning fork into my massage sessions. 3% Yes, I tried a tuning fork but don't use it often during my massage sessions. Have you ever integrated your massage practice into a hospital, nursing facility or home care setting for people who are ill, injured or dying? What is the top way you get noticed and gain new massage clients? Snake massage has been in the news lately. If it was legal in your area would you consider doing something like this in your practice? 85% Yes. I like to try new techniques. Have you ever had a client suffer from a medical crisis while on your massage table? July is National Blueberry Month. Will you provide a special perk to your practice that incorporates blueberries? 65% No, I do not plan on offering a blueberry theme to massages this month. 18% Yes, I will offer a Swedish massage using a few drops of blueberry scented massage oil. 6% Yes, I will offer a bowl of blueberries and cream. 6% Yes, I will offer blueberry tea and scones. 6% Yes, I will use blueberry essence as aromatherapy diffused throughout the room. Hydrotherapies (therapies using water externally) can be of value in keeping a person healthy. Do you have experience with water-based methods of bodywork? Advertising and marketing are important for attracting new clients as well as retaining current clients. How do you market your massage practice? Have you ever worked for a corrupt or unethical employer? What would be MOST enticing for you to join a website for massage professionals? 28% I would like a site that helps new massage clients find me. 16% I would like a site that offers big continuing education discounts. 5% I would like a site that allows me to connect with other massage professionals. 3% I would like a site where I can create coupons for clients to redeem. 2% I would like a site that lets me answer client questions. 2% I would like a site that offers one-on-one consultation with marketing professionals. Do you currently perform house calls for clients? One of the most challenging situations for some massage therapists is working with repeat clients who hurt all the time. Have you ever experienced such a client? Valentine’s Day, a day of love, is soon approaching. Do you see an increase in couple’s massages being booked on or around this time? Have you ever performed bodywork on a client suffering from PTSD? Have you ever used your own Hara during a massage session? 65% Yes, and it helped reduce the stress on my body. 21% No, this is of no interest to me. 15% No, but I would like to learn more. 0% Yes, but I did not find it helpful. A large number of Americans experience symptoms associated with multiple sclerosis (MS), such as weakness, spasm and impaired cognition. Have you ever helped a client ease symptoms of MS? Where do you prefer to buy massage supplies for your practice? Cyberchondria is the fear of having a disease with the added dimension of a person being able to research his or her symptoms on the Internet. That person now thinks he or she has the disease described. Do you work with clients who suffer from this? The 2012 Games in London have included massage therapy under the medical category. Did you or someone you know provide massage therapy services at London’s Summer Olympic Games? Compassion fatigue is a very real dilemma affecting professionals in the healthcare industry. Have you ever suffered from compassion fatigue? Do you currently sell or are considering selling retail products in your massage office? In addition to practicing massage therapy, do you also practice in another field of bodywork or healthcare? If so, which one? 18% Yes, I am also a nurse. 11% Yes, I am also an aesthetician. 8% Yes, I am also a fitness trainer. 2% Yes, I am also an acupuncturist. 2% Yes, I am also a physical therapist. 2% Yes, I am also an occupational therapist. 0% Yes, I am also a chiropractor. Physical, emotional and mental problems stem from an energetic root, and the goal of qigong is to flush energy that is congested or blocked. Do you currently utilize qigong massage in your practice? 49% No, but I would like to learn more. Earth Day is observed on Sunday, April 22. Do you plan on doing anything to celebrate? Stress can affect us all. How do you normally try to reduce or ease your stress? Massage therapy benefits people with Alzheimer’s disease; bodywork offers increased body awareness and alertness, as well as a reduction in the feelings of confusion and anxiety. Are you interested in working with people who have Alzheimer’s disease? 52% Yes, I would like to learn how I can help. 25% I already work with this special demographic. 13% I am not sure. 10% This special demographic does not interest me. According to new research, which essential oil is indicated in having the potential to ease anxiety in patients undergoing minimally invasive facial cosmetic procedures? The temperatures continue to drop as wintertime settles in throughout many states. Have you ever had a client present with first degree frostbite? 1% Yes — but it had actually progressed beyond first degree. The holidays can be an opportune time to market massage therapy. Great ideas include offering gift certificates and holiday packages, or even networking with local companies. Do you increase your marketing efforts during the holiday season? 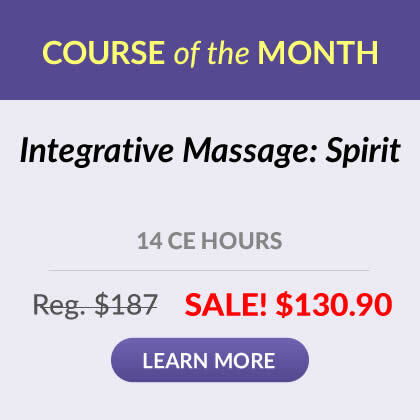 Do you currently - or would you be interested in - including Reiki in your massage practice? Since massage therapists stand all day, wearing compression stockings could benefit the health of their veins and increase comfort levels. Do you wear compression stockings? 42% No, but I&apos;m interested in trying a pair. 33% No, I don&apos;t think I need to wear them. 13% Yes, I wear them to work all the time. 12% Yes, but I don&apos;t wear them every day. Speaking candidly with clients can jeopardize one's professional ethics in several ways. As a massage therapist, are you able to keep your conversations with clients clear of gossip? Continuing education is paramount for massage license renewal. How far in advance do you usually complete your continuing education requirements? 18% I usually wait until last minute. 1% I am not required to complete continuing education. Do you provide massage outdoors when the weather is nice? 56% No — but I&apos;d like to try it. 17% No — I prefer providing massage indoors all of the time. 14% Yes — my clients enjoy the change of environment. 13% Yes — but not often. Some businesses can peak during different seasons. Which is the busiest season for you as a massage therapist? In his book, Ethics for the New Millennium, the Dalai Lama offers his insight to the importance of compassion and how it affects both our daily lives and the lives of everyone around us. Have you ever read this book? Lockjaw can cause a person to temporarily (and in some cases, permanently) lose his or her ability to open and/or close the mouth. Have you ever helped ease inflammation and restore range of motion to the mandible on a client with lockjaw? Our outlook in the morning can really impact how the rest of our day will follow. How do you generally like to start your day? In addition to massage therapy, what other strategies do you suggest clients use who are suffering from Carpal Tunnel Syndrome? February is American Heart Month. Massage therapists can play a role in their clients' heart health by emphasizing the importance of unimpeded circulation. Which way do you contribute most often to a healthy fourth chakra? 37% Perform massage to increase circulation. 7% Encourage positive thinking and laughter. 6% Review the cardiovascular health benefits of a regular exercise program. 2% Suggest a natural supplement to reduce blood coagulation. 1% Discuss the importance of eliminating artery-clogging fats from one&apos;s diet. Most massage therapists have encountered a difficult client at one point or another. Approximately how many challenging clients have you dealt with in your bodywork career? With the apparent increase in allergic reactions to latex, there has been an increased development and use of alternatives, such as vinyl and nitrile. What type of medical gloves do you wear when performing a massage? 74% I don't wear medical gloves. On average, how many massage sessions do you perform each week? Regular massage therapy can help pets maintain good health and create a stronger bond with the owner. Have you ever performed animal massage? 70% Yes, I have performed animal massage. 17% No, but I would like to perform animal massage in the future. 13% No, animal massage does not interest me. The colors used in your office convey an important message and can impact a massage session. What is the main color of your massage office? Administering onsite or outcall massage can benefit disabled clients, those who have a busy schedule, or people who are homebound. Do you prefer performing outcall massage, or favor having clients visit your massage therapy practice? 71% I prefer performing massage at my own practice (or workplace). 18% I like both massage methods just the same. 11% I prefer outcall massage. Have you ever performed massage on a client with a mild, first degree sunburn? People new to massage can be nervous about their first session. Which question do you encounter most often when performing massage on first time clients? 77% Should I take off all my clothes? 2% Should I speak up if I&apos;m uncomfortable? 1% Should I chit-chat during the massage? 1% Should I assist when a part of my body is lifted or moved? The Institute offers 35+ home study CE courses, and picking just one or two to enroll in at a time can be difficult. Of the courses below, which one have you not yet enrolled in — but plan to — or are the MOST interested in learning more about? As a massage therapist, have you ever taken part in a recovery program team to help one or more clients recover from cocaine addiction? 52% No — I never knew bodywork could help battle cocaine addiction until today. 41% No — But I would like to in the future. 7% Yes — It was a very rewarding experience. Wearing high heels can place stress on the bones, muscles and tendons of the legs and spine — and are the cause of many chronic pain ailments. Do you treat clients who are prone to problems caused by wearing high heels? Which resource do you use most often to learn new information about massage therapy? Have you ever suspected a client was having a stroke during a massage session, and then called 911 for immediate help? 91% No — None of my clients have ever shown any warnings of a stroke. 9% Yes — I recognized the warning signs of a stroke and saved my client&apos;s life. Winter can be a slow time for massage therapists. Offering mobile spa services is one way to help increase business. Have you, or would you ever, provide an at-home spa party? Which method do you use most often to clean your hands while at work? The cold and flu season is now upon us. What is the biggest step you are taking to ensure you remain healthy and well? There are four bodywork techniques known to help sinusitis. Which technique have you used to help clients break up congestion, increase circulation within the sinuses and strengthen their immune system? The initial history taking process is crucial to maximizing the session's safety and effectiveness. After asking your clients about the medications and supplements they take, have you ever realized they are dangerously mixing substances? Which technique have you used to release tight scalenes? Depending on the person's sensitivity, the red, itchy rash associated with poison ivy may not develop for 24 - 72 hours after exposure. Have you, or another massage therapist you may know, ever gotten poison ivy after performing massage on a client? There are many considerations in choosing the fabric of massage linens. Which fabric do you primarily use in your massage practice? The summer months are now among us, and so is tick season. Have you ever found a tick on a client during a massage and then removed it? 74% No, I have never found a tick on a client during a massage. 22% Yes, I have found a tick on a client during a massage and removed it. 4% Yes, I have found a tick on a client during a massage. But, no, I did not remove it. What type of candle or fragrance do you use most often in your massage practice? Clients seek massage for different reasons. What type of products do you feel would complement massage therapy and be of most benefit to your clients? In addition to restoring range of motion, when else have you used the strain counterstrain technique with massage clients? Which technique do you use most often when performing massage on a frail or elderly client? Massage therapy is a valuable tool for reducing hypertension. Which technique have you used most often to help clients reduce their high blood pressure? Saving money in a massage practice can be accomplished in many ways. How do you, as a massage therapist, intend to tighten your budget in 2009? What are you MOST likely to do this winter season to help keep your massage services in demand? How do you, as a massage therapist, plan to stay healthy this flu season? There are several cupping variations within a massage therapist's scope of practice. Which method have you used most often or are most familiar with? Which massage technique have you used MOST OFTEN when helping clients relieve their pain and discomfort from whiplash? When helping clients relieve their low back pain, which technique or tactic have you incorporated MOST OFTEN in a massage treatment plan? Which eco-friendly practice do you feel is MOST important for therapists to implement in their massage offices in order to reduce their environmental footprints? To avoid calling in sick, it is essential for massage therapists to maintain a healthy lifestyle and actively support their immune system. Which do you feel contributes MOST to your overall good health? As a massage therapist, which way have you found to be most effective in protecting your hands from drying out from frequent washing? How do you help detox your body during spring, the traditional time of year for cleaning out our bodies as well as our homes after a long, cold winter? 40% I make time to receive bodywork, such as Shiatsu, Lymphatic Drainage or Swedish Massage. 39% I use nutritional support such as herbal supplements, fasting or a cleansing diet. 21% I don't do anything additional or different from my usual routine. If a client is taking prescribed antibiotics, how does this impact your massage session? 55% If a client is on antibiotics, I take that into consideration and adjust the session appropriately. 24% I did not know any precautions needed to be taken if a client is on antibiotics, until I read your article today. 21% If a client is on antibiotics, I will cancel or postpone a session until they are no longer taking them. Where would you most likely use chair massage to help expand your practice? 56% Corporate Events, such as trade shows, conventions or health expos. 22% Sporting Events, such as marathons, competitions or tournaments. 22% Private Events, such as local store openings, birthday parties or holiday celebrations. What massage techniques have you found to be most effective in treating torticollis? 43% I have had no experience with torticollis and would need more information on both the pathology of the condition and effective techniques in treating it. 37% Gentle effleurage and/or stretching has been the most effective with my clients. 20% My clients get the best results when I use cranial-sacral techniques. Have you found massage to be effective in your clients with Restless Legs Syndrome (RLS)? 79% Yes: I have found massage to be very effective in relieving the symptoms of Restless Legs Syndrome in my clients. 17% Not sure: I need to know more about how massage might help my clients with RLS before I would consider using it for that particular condition. 5% No: My clients who have complained of RLS have found no relief through the use of massage. How do you monitor your clients' progress during ongoing treatment? 52% I rely on my SOAP charts and records to track my clients' progress. 41% I prefer to assess a client at the time of treatment based on current symptoms. 8% I have my clients keep a daily journal to track their progress. How confident are you, with regard to your education and skill, in determining treating calcium deposits in your clients? 41% Very: I am very comfortable in both my knowledge and skills with regard to recognizing and treating a client with calcium deposits. 39% Not really: I feel that I need more information and would feel very uncomfortable working with anyone with this condition until I had more knowledge. 20% Somewhat: I am somewhat confident in my skills, but would prefer to refer a client to a medical doctor for a definitive diagnosis before treating the area involved. How familiar are you with postural evaluation and realignment? 65% Very - I am familiar enough with anatomy to identify the muscles involved and can administer Neuromuscular Therapy to help restore balance. 18% Not familiar - I would like to learn more about postural evaluation and massage techniques to restore balance to the musculoskeletal system. 17% Somewhat - I did not know the steps involved with evaluation until I read your article, and I am not familiar with Neuromuscular Therapy enough yet to administer to clients. How willing or interested are you in providing touch therapy to autistic clients? 74% Very interested: I want to help enhance relaxation for autistic clients and reduce their autistic behaviors, including inattentiveness and withdrawal. 14% Somewhat interested: I would be interested in learning more about which deeper massage techniques would be better tolerated by autistic clients. 12% Not interested: While I would administer touch therapy to an autistic client, I am more interested in other conditions. Do you feel that massage and bodywork would be the most effective alternative therapy to help women through menopausal transition? 82% Yes – Bodywork has the potential to alleviate headaches, reduce stress, and re-balance hormone levels. 12% Not sure – I had not heard much about the effectiveness of massage during menopause until I read your article today. 6% No – Herbal therapies could support peri-menopausal women even more effectively than massage. How do you feel about giving massage to a cancer patient? 84% Totally agree with it - I am aware of the risks, protocols and most appropriate methods of hands-on bodywork administration to clients undergoing cancer treatment. 13% Agree with non-touching therapy only - The only massage services I'd provide for my patients undergoing cancer treatment would be Healing Energy & Touch. 3% Don't agree - I would not provide any services to a client in cancer treatment so as to do no harm, but would serve their family and caregivers. How often do you treat clients suffering from a herniated disc? 56% Often – I regularly treat clients who suffer from a herniated disc. 28% Occasionally – I treat clients suffering from a herniated disc, but not on a regular basis. 16% Rarely or Never – I am not experienced in treating a herniated disc, and could benefit from taking a continuing education program in Neuromuscular Therapy. How experienced are you working on clients seeking treatment for unleashing trauma? 48% Very Experienced - I'm comfortable working with clients who have suffered a traumatic experience and who need help releasing stress. 30% Somewhat Experienced - While I'm familiar with the concept, I could benefit from further information and training in working with clients who have suffered from a traumatic experience. 22% Inexperienced - I've never worked with a client who has suffered from a traumatic experience, but I'm interested in learning how massage impacts these individuals. Do you currently ask patients if they use hormonal contraception during your initial intake interview? 64% Sometimes - I only inquire about a client's medications in general. 22% Yes - I always inquire about a client's medications, and specifically ask about hormonal contraception. 14% No - I do not inquire about a client's medications and would like to learn more about how a pharmaceutical drug impacts massage. As a massage therapist, how likely are you to seek employment within a spa? 55% I'm happy working for myself and have no interest in seeking employment within a spa. 30% I currently work full or part-time within a spa. 16% I'm interested in working in a spa in the future. How often do you use aromatherapy as part of your massage sessions? 71% Often - I incorporate aromatherapy into my sessions due to its proven benefits. 15% Rarely or Never - I am unfamiliar with the use of essential oils and would like to learn more about the basics of aromatherapy. 14% Ocassionally - Only when a client specifically requests its use. How capable are you in identifying a client’s need for lymphatic drainage massage? 83% Somewhat capable –While I’m familiar with lymphatic drainage, I would benefit from a formal continuing education course before using it on clients. 17% Very capable – I’m experienced in lymphatic drainage and use it frequently during client sessions. 0% Incapable – I do not know how to apply this modality, but am interested in learning lymphatic drainage massage. Do you typically use cranial-sacral therapy as part of your client sessions? 55% Yes – I’ve successfully incorporated this modality into my client sessions. 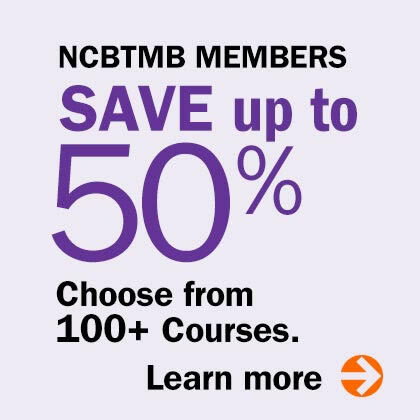 37% Rarely or never – I do not know how to apply this modality and would benefit from a continuing education course covering the fundamentals of cranial-sacral therapy. 8% Occasionally – I’ll use this modality only after a client requests it. While performing massage, do you also examine a clients’ skin and inform them of any areas of concern to report to a dermatologist? 87% Yes – I consider this as part of my responsibility as a healthcare provider. 12% Occasionally – I only inform a client when there is an obvious threat to their health. 1% No – I feel this is beyond my scope of practice. How often do you rely on your own intuition when working on a client? 93% Often – I have found my instincts to be an accurate assessment tool. 7% Sometimes – Only when I have used all other ways to garner information do I rely on my own intuition. 0% Rarely – I perform only those strokes that have been communicated to me by the client or have been used in past sessions. Do you inquire about panic disorders as part of your client intake process? 56% No - but I now see the need to do so, considering the medications these clients may be taking can influence massage. 44% Yes – with its diagnosis becoming more common, I see the need to ask about it during the client intake. Do you know which of your clients is diabetic? 91% Yes – Asking whether a client has diabetes is part of my intake process. 7% Sometimes - I only know if clients inform me they are diabetic. 2% No – That is something I do not ask. How often have you addressed a client’s TMJ pain? 42% Often – Its something I incorporate into many client sessions. 34% Occasionally - I have a handful of clients who request such treatment. 25% Rarely or Never – I’m not familiar with how to treat this client request*. How often do you incorporate principles of Asian bodywork (such as Shiatsu, Acupressure, Anma, Tuina, Medical Qigong) into your massage and bodywork treatments? 49% Frequently - I regularly incorporate Asian bodywork assessment skills and/or manual techniques. 18% Rarely - I predominantly choose other modalities. 18% Sometimes - I only apply such manual techniques when addressing a specific condition. 15% Never - I am not familiar with this type of work. Since massage therapists can effectively contribute to sports injury treatment and prevention, how do you market yourself to athletes? 42% I don’t. My new patients come from referrals only. 27% I pass out my card at athletic training facilities or sporting events. 23% I network with other health professionals specializing in sports injuries. 8% I advertise in locations frequented by athletes. How would you best describe your experience of massaging clients with Fibromyalgia? 69% Very positive. My clients with fibromyalgia experience significant improvement in their symptoms following massage. 26% Variable. Some clients experience relief after a session, some appear to be unaffected while some feel worse following a massage. 4% I don’t know, I am currently unaware of any of my clients having fibromyalgia. 1% Not very good. My clients with fibromyalgia typically feel worse after receiving massage. As a massage therapist, how do you address clients complaining about fatigue? 46% I use specific massage strokes/techniques to stimulate energy. 38% All of the above. 10% I apply vitalizing essential oils during massage. 3% Other. Please share by e-mailing editors@natural-wellness.com. 2% I suggest or sell supplements to combat fatigue. Considering the intimate nature of the therapeutic relationship, a client can become physically attracted to their massage therapist. How have you addressed this ethical quandary? 46% I enforced the boundaries of our relationship by addressing it professionally. 39% I’ve never found myself in this situation. 9% I pretended the attraction didn’t exist. 4% I immediately ended the therapeutic relationship. 2% I carefully entered into a dual relationship with my client. Anterior knee pain requires advanced differentiation skills. Under what circumstances do you refer a client suffering from knee pain to another healthcare professional? 53% When manual resistive tests indicate ligament or meniscus damage. 32% When massage intensifies a client’s knee pain. 15% I’m uncomfortable addressing knee pain with massage. How would you rate your awareness that medications alter the outcome of massage therapy? 48% Somewhat aware - I can only identify those medications indicating high risk for massage. 27% Completely aware - I modify massage strokes based upon my clients' medication lists. 24% Unaware - My previous education did not address this issue. How often do you, a massage therapist, get a massage?